BORDER Country Hope Kids will get to enjoy a week of fun at the 2018 'Time Out for Life' Children's Holiday Camp this year thanks to the generosity of The Rotary Club of Albury. 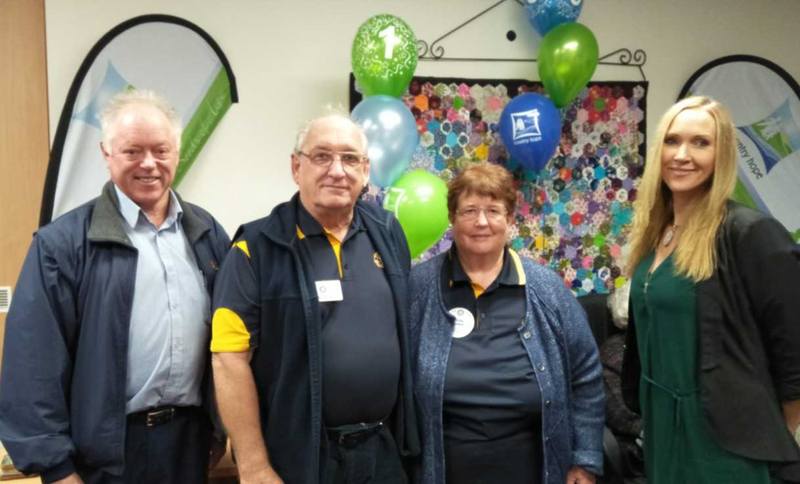 Michael and Jean Burke from the The Rotary Club of Albury attended Country Hope's 15th Birthday celebration to present the cheque for $10,000 to go toward the camp this year. Each year 'Time Out for Life Camp' caters for the needs of hundreds of regional children who have been touched by cancer or other chronic or life threatening illnesses. The camp aims to provide individual carers to care for each child for the duration of the camp. Both diagnosed children and their siblings get the chance to enjoy an exciting week away from the monotony and day to day reality of their illness and treatment. Up to 180 families have benefited from the camp over the past 15 years thanks to the generous donations from the community. A huge thank you goes out to the Rotary Club of Albury for once again supporting Country Hope's 'Time Out for Life' Children's Holiday Camp.